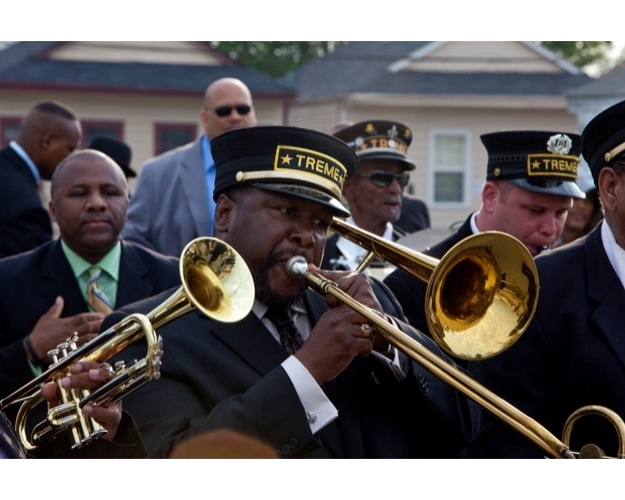 Three months after Hurricane Katrina, the New Orleans neighborhood of Treme holds its first "second-line parade" since the storm. Albert Lambreaux returns to his home to find it ravaged by the flood, but begins cleaning up the damage instead of heeding his daughter's pleas to return to Houston. She calls her brother Delmond, who comes down to argue with their father but has no more success. A British television crew interview Creighton Bernette, who becomes so outraged by their implication that the city isn't worth rebuilding that he throws their microphone into a canal. LaDonna Batiste-Williams finds out from a friend that her brother Daymo, who has been missing since the storm, was in police custody when Katrina hit the city; Toni Bernette is unable to find Daymo on any official record of prisoners in custody at that time, but she does uncover two newspaper photographs that appear to show him among a group of prisoners being taken across the overpass. Whole or part of the information contained in this card come from the Wikipedia article "List of Treme episodes", licensed under CC-BY-SA full list of contributors here.